With a small set of tools and a block of wood a person can create art. 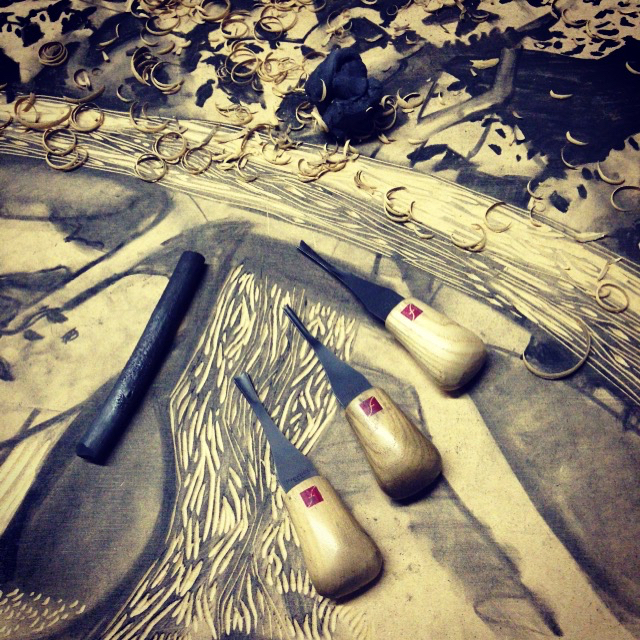 The process of printmaking is a journey where the artist learns about their idea through the materials they use. Each decision must be considered for now and in the future print. Every print starts as a drawing (usually in charcoal) on the board. As I carve the image, the drawing is erased. This allows me to focus more on the carving, and less on strict adherence to the idea. The process of carving will bring its own ideas to the piece. When it is time to print the carved block, I do my pressing by hand. 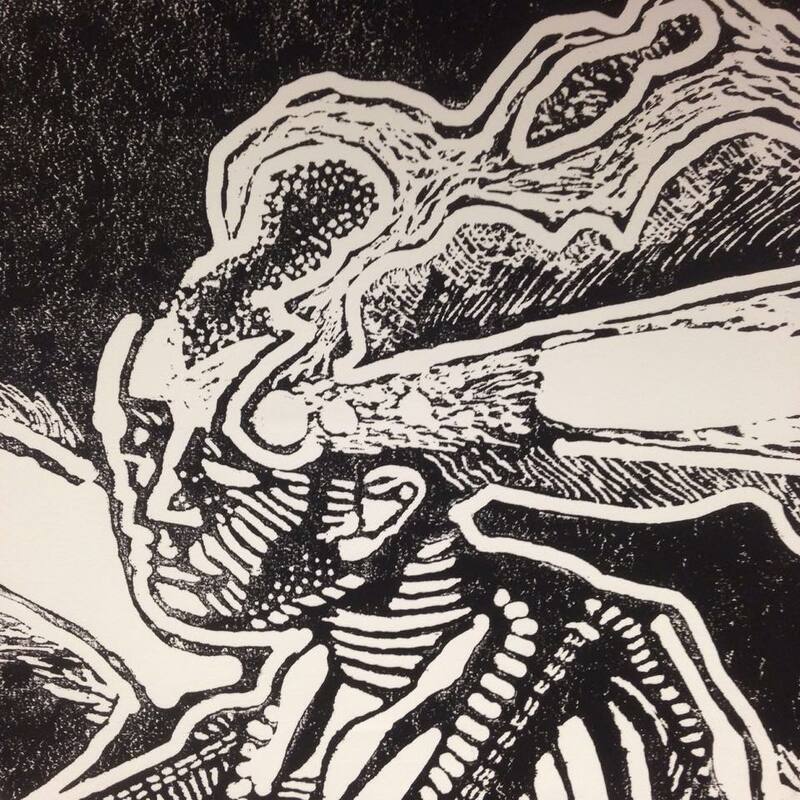 Hand pressing means that I do not create many editions of my prints. It takes time to create good prints by hand, but it also allows me to print on different scales and materials. Also there is a chance for editing the print during pressing. Since I press by hand most editions are only 10 prints. Once an edition is completed, I will carve the edition date into the block. This means that the edition cannot be re-printed and that I can make the blocks available to collectors as well.